While the bomb was being invented, babies were born, friendships were forged, children grew up, and Los Alamos gradually transformed into a real community: one that was strained by the words they couldn't say out loud or in letters, and by the freedom they didn't have. But the end of the war would bring even bigger challenges, as the scientists and their families struggled with the burden of their contribution to the most destructive force in the history of mankind. 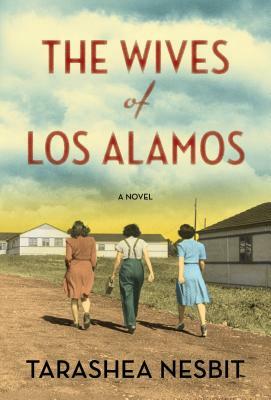 The Wives of Los Alamos is a testament to a remarkable group of real-life women and an exploration of a crucial, largely unconsidered aspect of one of the most monumental research projects in modern history. TaraShea Nesbit's writing has been featured in the Iowa Review, Quarterly West, Hayden's Ferry Review, and other literary journals. She teaches creative writing and literature courses at the University of Denver and the University of Washington in Tacoma and is the nonfiction editor of Better: Culture & Lit. A graduate of the M.F.A. program at Washington University in St. Louis, TaraShea is currently pursuing a Ph.D. in creative writing at the University of Denver. She lives in Boulder, Colorado.